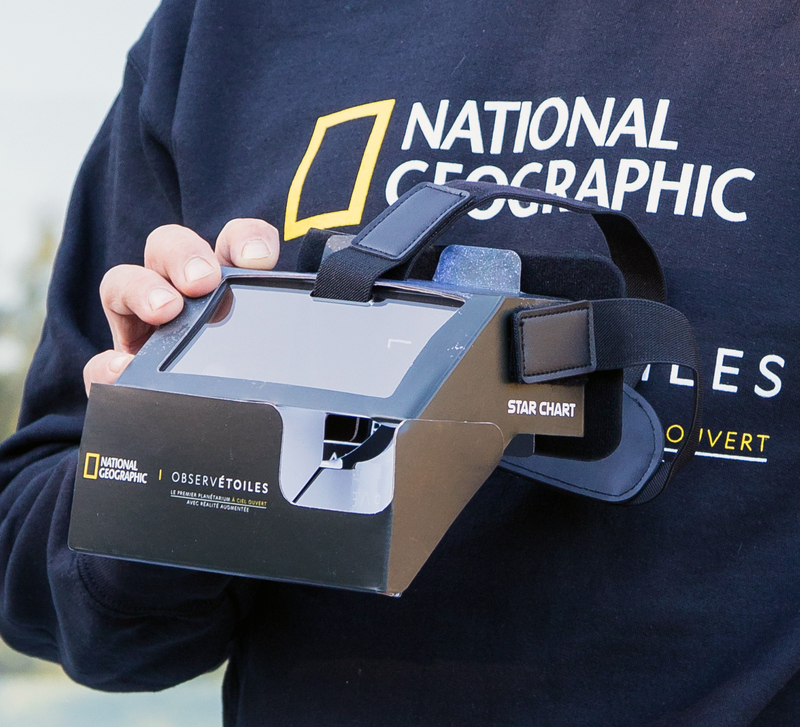 GLEN SUTTON, QUEBEC — Au Diable Vert Station Montagne is excited to announce the creation of the world’s first open air augmented reality planetarium "ObservEtoiles", which will be launched on June 23. Combining the technology of several cutting-edge companies from around the globe, this innovative new activity is sure to be one of the most novel and intriguing additions to Canadian tourism. Up to 180 guests will be seated in a stunning mountain side amphitheater, specially created for ObservEtoiles at over 1000 feet of altitude at the award-winning Au Diable Vert Station Montagne in Glen Sutton, Quebec. Comfortably seated in heated stadium seats, newly created by Arena Comfort Products, guests will be able to enjoy the show at any exterior temperature or in any weather conditions. 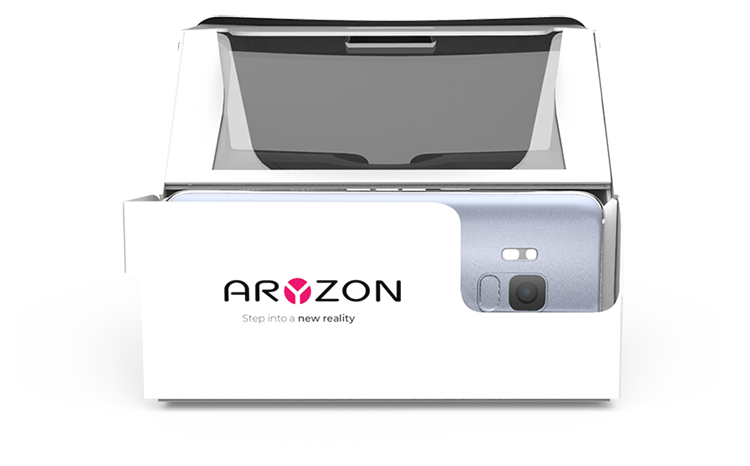 Guests will wear a newly developed augmented reality headset created by Aryzon (www.aryzon.com) in the Netherlands, who last year introduced world's first Cardboard of Augmented Reality to lower the threshold to start implementing 3D AR/MR technologies. With the Headset the guests will see the actual night sky, with a digital overlay of the constellations and the names of stars and planets. A pioneering Augmented Reality application has been specifically created by British company Escapist Games (www.escapistgames.com), the makers of Star Chart, an application downloaded over 30 million times. The AR app runs on a cutting edge Asus Zenfone 3 Zoom, the thinnest, lightest 5.5-inch 5000mAh smartphone, with a vibrant full HD AMOLED display. The Asus Zenphone sits inside of the Aryzon headset, and through a system of specially designed mirrors and lenses, guests can admire beautiful 17th century illustrations of the constellations overlaid with perfect accuracy over the real stars and planets, without obstructing viewers’ line of sight. Each show will feature narration of a Star Guide, sharing specially designed and continually updated content created by Andrew Fazekas, the world renowned ‘Night Sky Guy’. Using a high powered astronomy laser, guests will be guided through a tour of the night sky like it has never been done before. 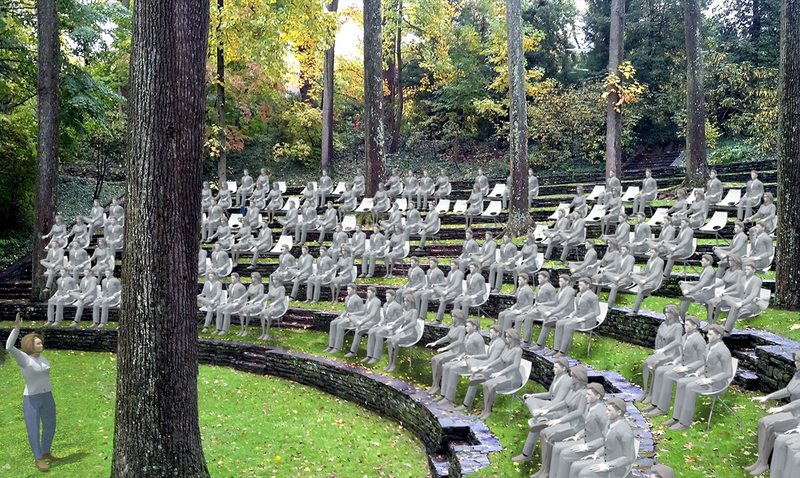 The ObservEtoiles open air augmented reality was made possible through the strong support of the town of Sutton, and generous grants from both the Quebec Ministry of Tourism and Eastern Townships Tourism. Au Diable Vert is a 4 season outdoor centre famous for its innovative accommodations and people powered activities, including the only Canadian canopy cycle activity VeloVolant (www.velovolant.com). Winner of the 2017 Canadian Tourism Awards for an unprecedented 3rd time, as well as the 2017 World Travel Awards, as Canada’s Leading Wilderness Lodge (www.audiablevert.com). Au Diable Vert wishes to thank the financial partners who have made this project possible through tourism development funding: Ministère du Tourisme Québec, for its participation through its PSSDT program, as well as through its EPRT program in partnership with Tourisme Cantons de l’Est. For a compelling presentation video of ObservEtoiles or for more information, visit our website www.observetoiles.com or our Facebook page ObservEtoiles. Interested to know more about Aryzon? Or do you have an awesome idea you would like to share with us? Please don't hesitate and get in touch! Our unique cardboard headset allows you to view AR Apps in stunning 3D & completely hands-free. Create your own content, or download a variety of available apps, and enjoy enhancing your reality with virtual content for just €29,99.